Imagine – being able to order Farmstand delivery or takeout from the convenience of your own home. Well, now there’s an app for that! That’s right, with the Farmstand mobile app you can now order food from the full Farmstand menu directly from your phone. Looking to cater your next work function? You can place your catering order using the Farmstand app as well! 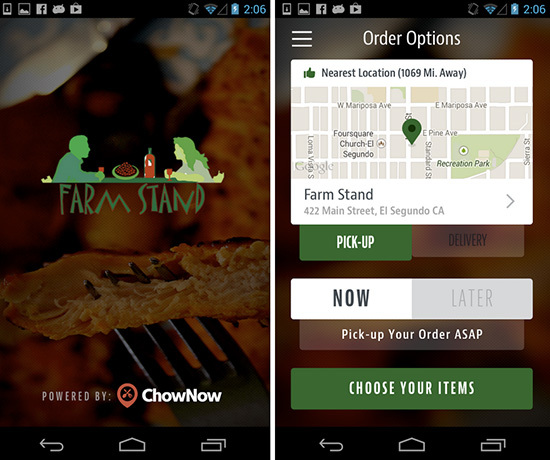 The Farmstand app is available for both iPhone and Android. To download visit the iPhone app store or Google Play store. Have you been using the Farmstand app. Let us know what you think in the comments! Tags: app, delivery, mobile, takeout | Permalink.